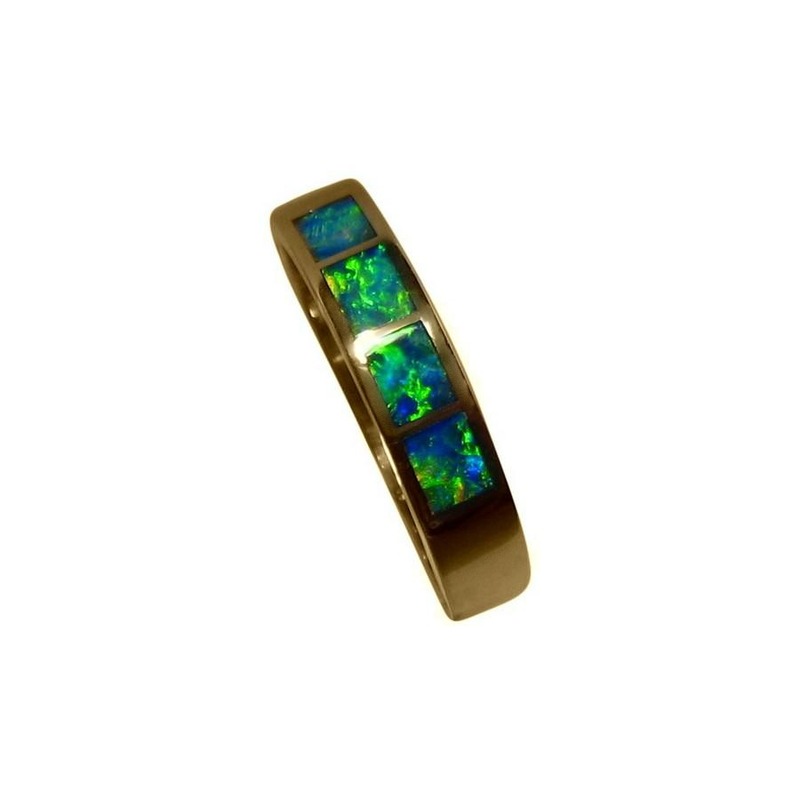 An Opal ring in 14k Gold with four inlaid Opals that show very bright Green and Gold. In stock and ready to ship. 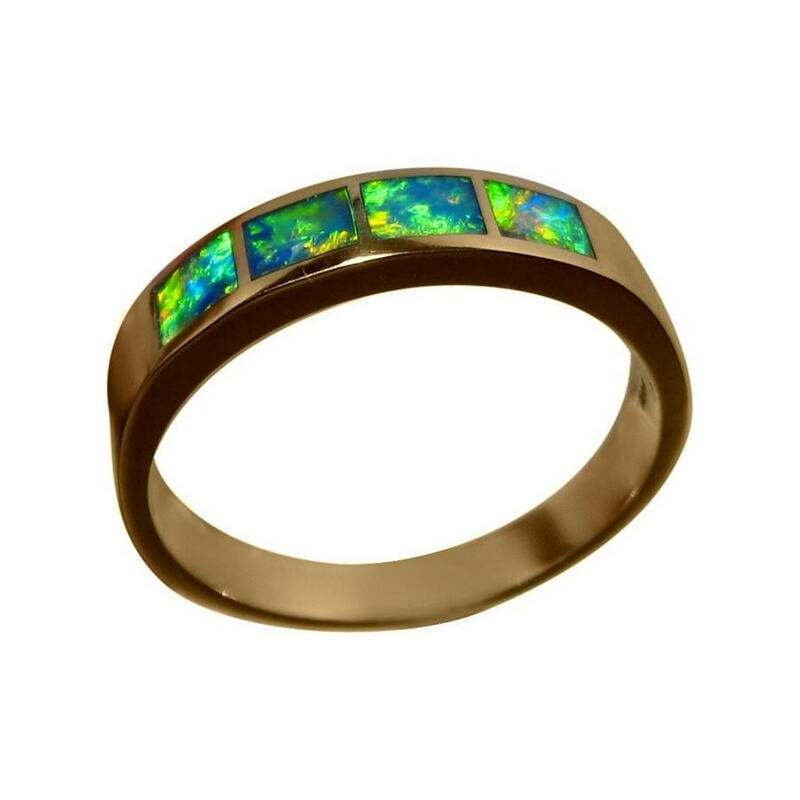 An Opal ring made for men although some women may like to wear. 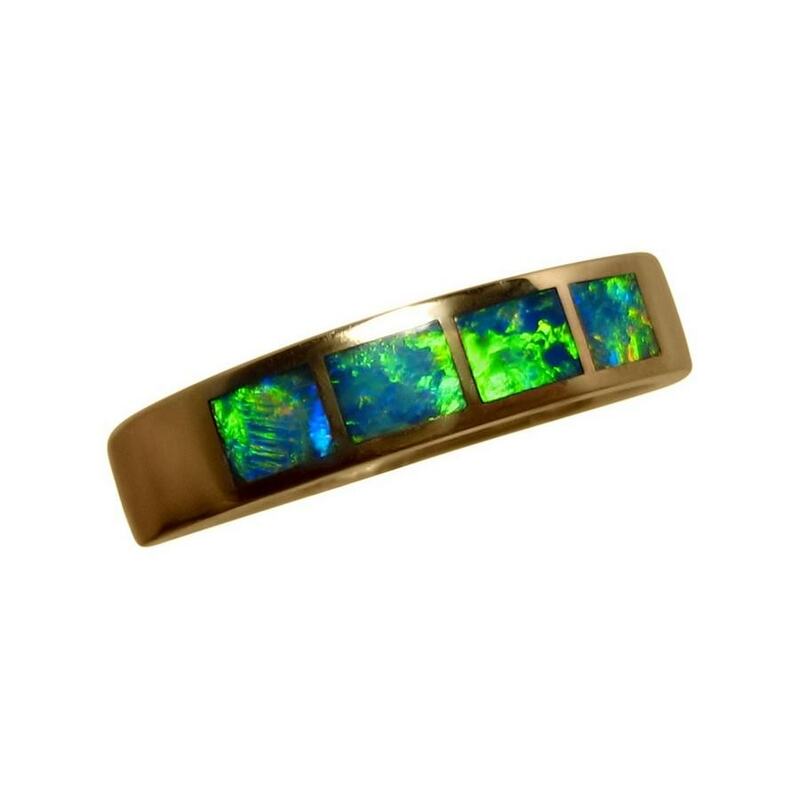 The 14k Gold band is 5 mm wide weighing almost 6 grams and is inlaid with four rectangle cut Lightning Ridge Opals that flash very bright Lime Green and Gold which the video below will show along with the play of color and high shine of Gold. 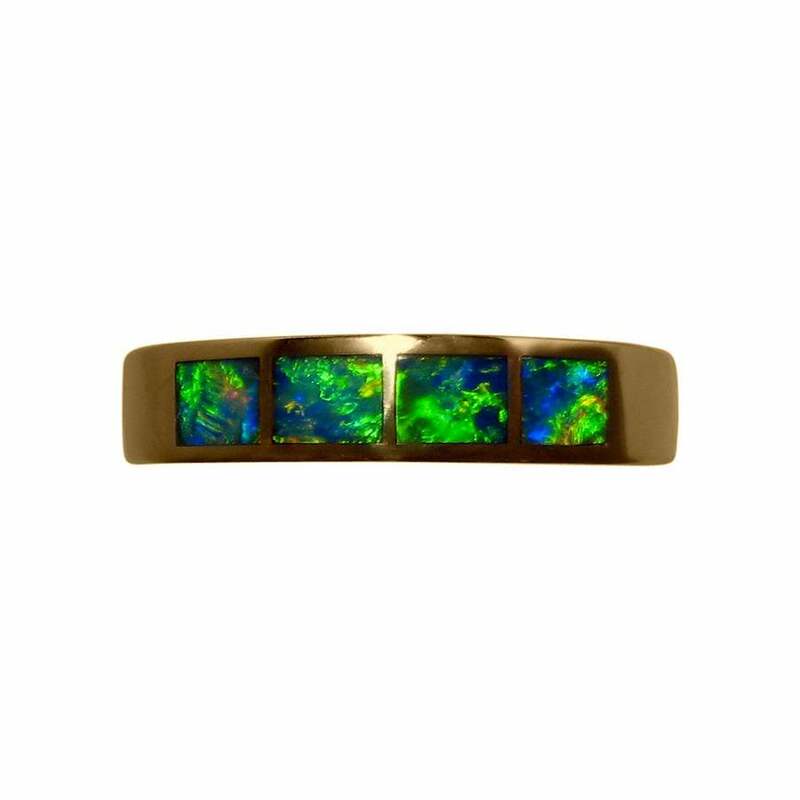 This style of Opal ring may be considered as a wedding band or every day wear however please read How to care for Opal rings before you purchase. 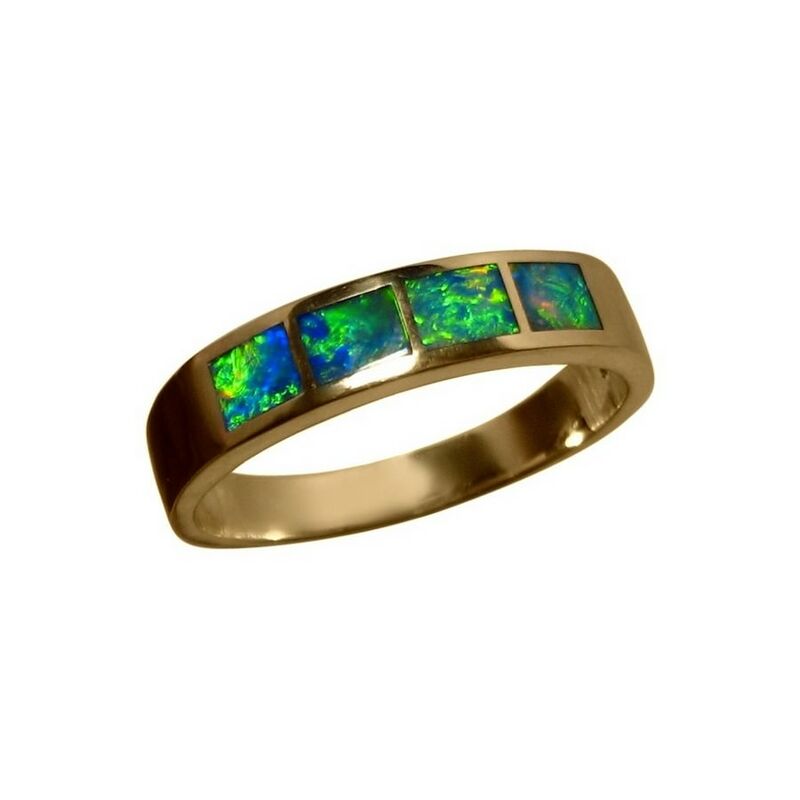 A quality Opal ring that is ready to ship as detailed below or one can be Made to Order in any other ring size or Gold color which will take about one week to make before images are provided for your approval to ship.